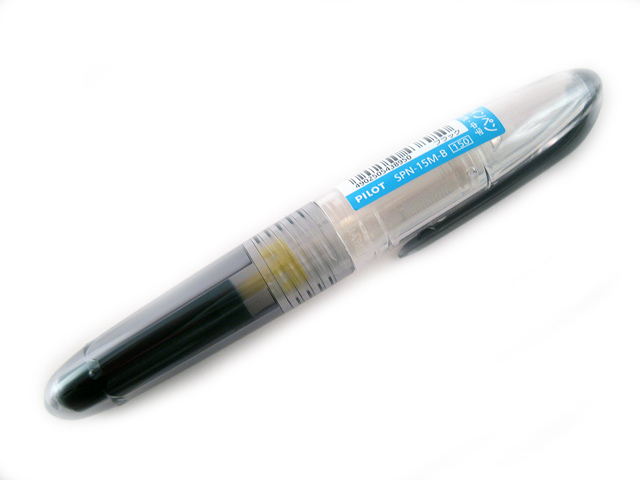 Pilot's Petit mini pen comes in 3 pen types. 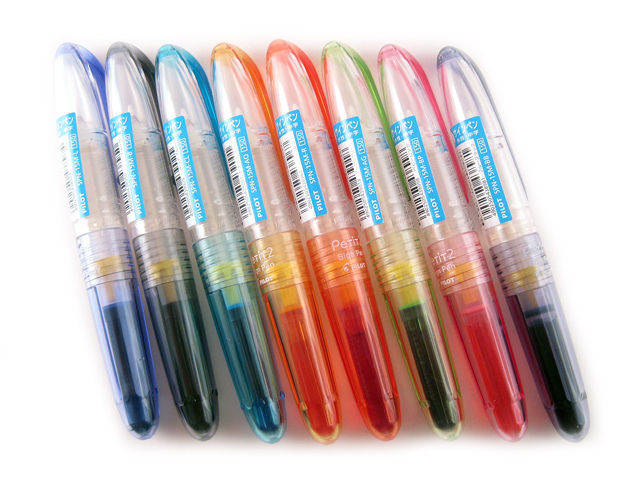 Petit also comes in 8 beautiful body and ink colors: black, blue, blue black, red, apple green, apricot orange, baby pink and clear blue. 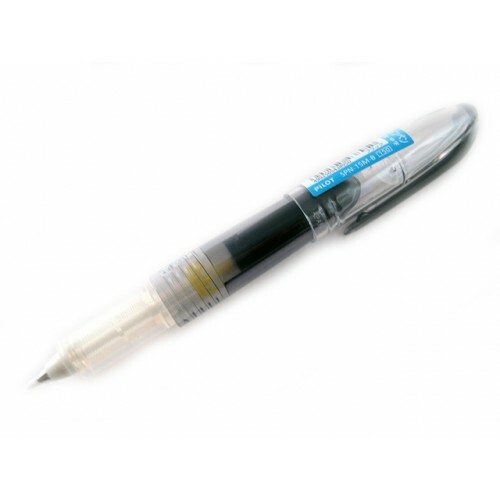 The pen comes with 1 ink cartridge that is not pre-inserted. 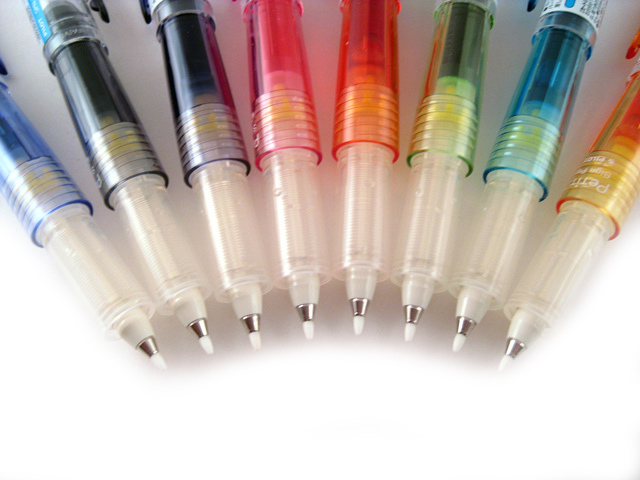 The ink is water-based and smudge free. The refill cartridge is compatible with all three pen types. 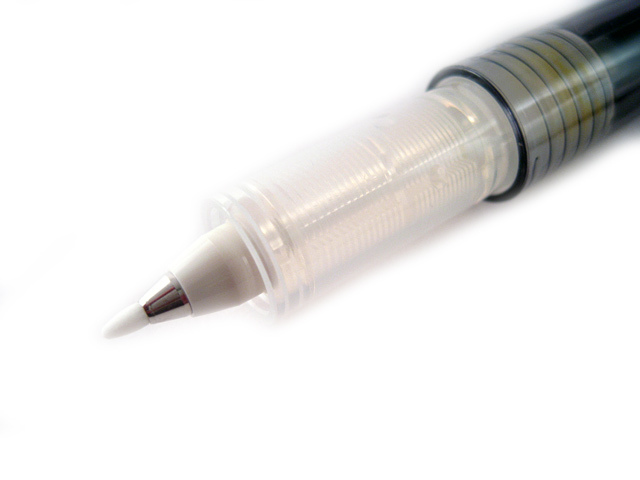 The Petit pen is 4-inch long when capped, and 5-inch long when posted.